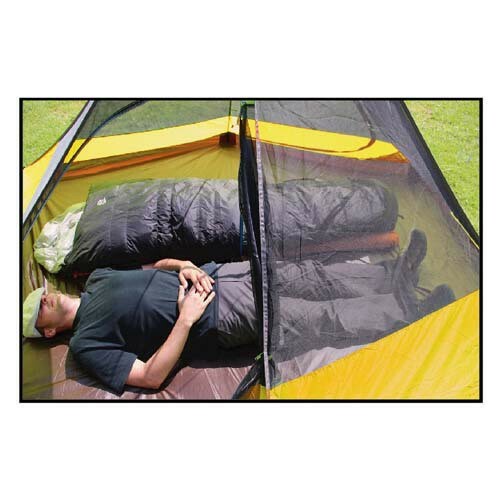 Lightweight tent for 2 people. 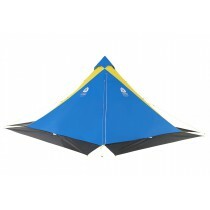 Usage 3 seasons with rainfly. 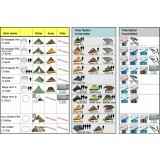 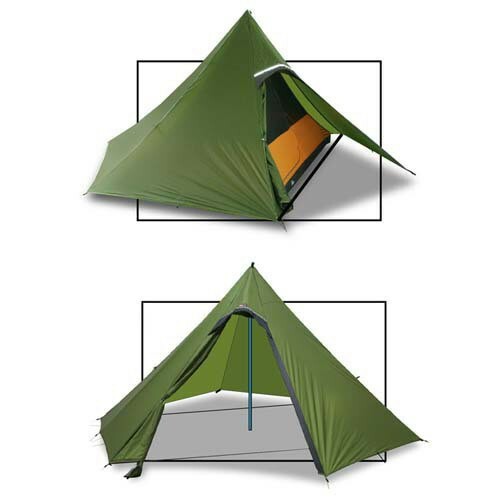 Tent designed for 2 and 3 season use. 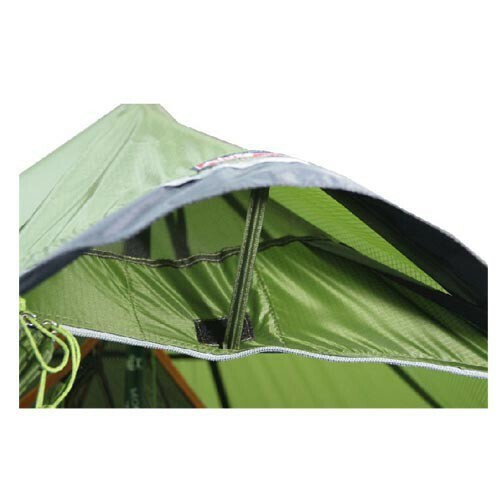 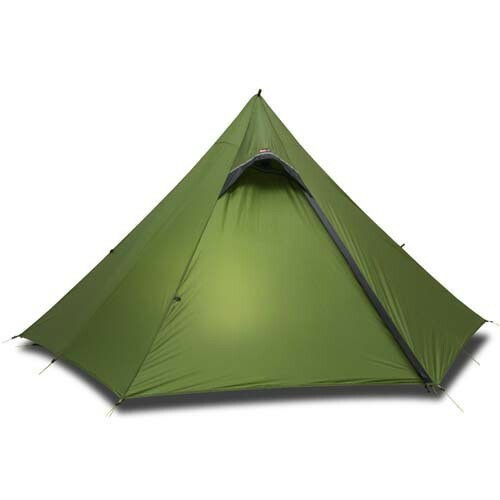 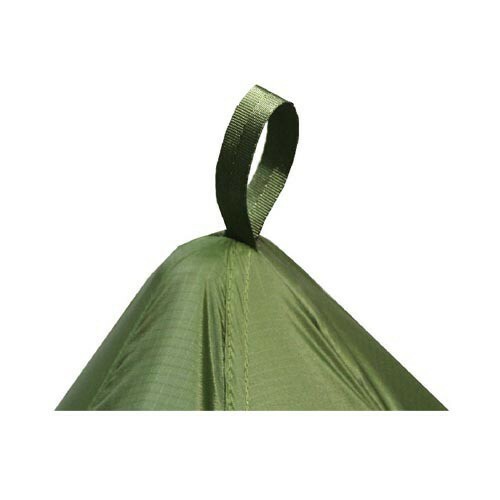 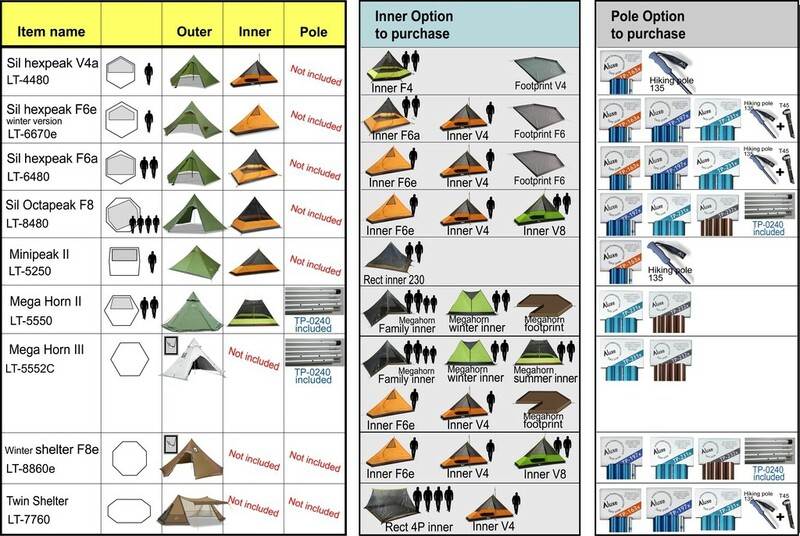 This lightweight teepee-shaped tent comes with a double roof, an interior room, stakes, a coating for seams Seam Sealing. 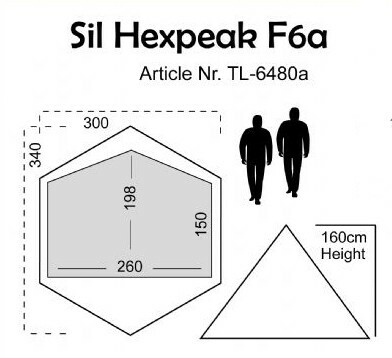 The Sil Hexpeak F6a has an apse for storing equipment or using a stove for cooking. 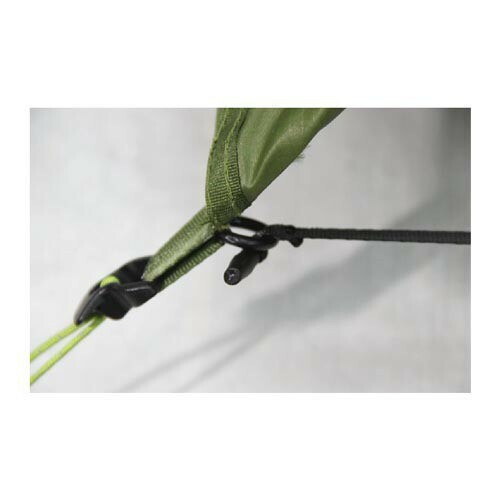 Mounting: ultra-fast and easy. 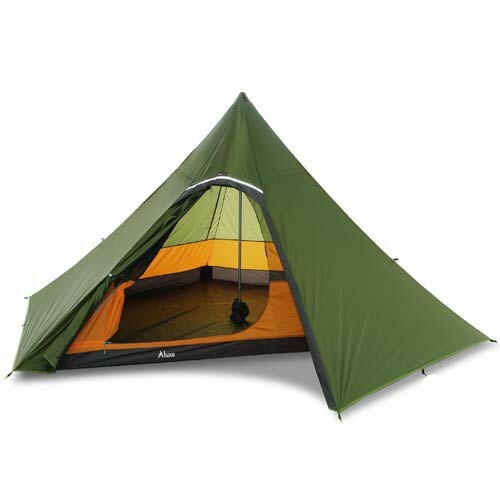 Requires mat to put up the tent. 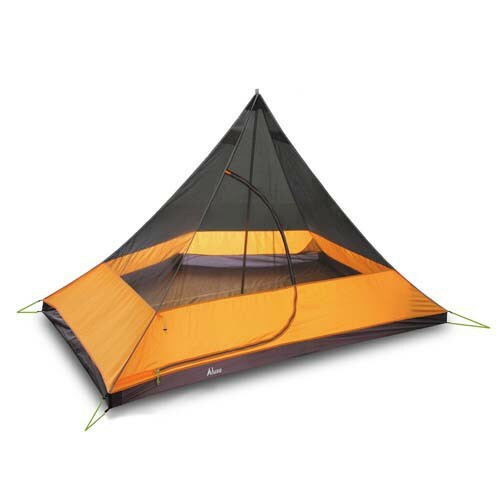 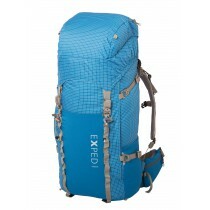 Sold separately (Tarp Pole Model 163X). 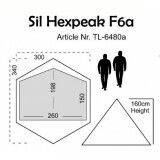 The Sil Hexpeak F6 has an vestibule for storing equipment or using a stove for cooking.